Steve Ells ’90 has unlocked the secret to a successful and sustainable business model with his “Food with Integrity” initiative. “We decided long ago that we didn’t want our success to be tied to the exploitation of animals, farmers, or the environment, but the engagement of our customers,” he says. From humanely raised beef to hormone-free sour cream, Steve incorporates high-quality ingredients into his menu because, as he says, “they ultimately result in better-tasting food.” The transformation to a more ethical menu occurred gradually as business grew. The effect is not only more flavorful food, but greater customer loyalty and increased sales. In 1990, Steve received his degree from the CIA. While he served as sous chef under Jeremiah Tower at Stars restaurant in San Francisco, he was inspired by eating at the local taquerias. Steve returned home to Denver in hopes of opening a similarly themed establishment that would help fund his ultimate dream of owning a “real” restaurant. So, armed with a loan from his father, he launched his very first burrito restaurant. 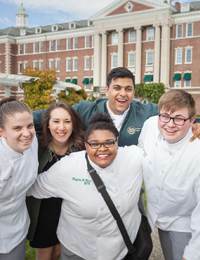 Now with 2,491 restaurants, including 25 Chipotle restaurants outside the US, and two Pizzeria Locale restaurants, Ells sees an opportunity to open doors for CIA students by creating a scholarship for those who share his philosophy for sustainability. 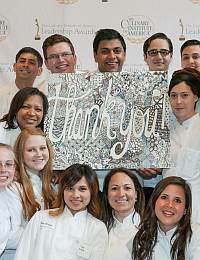 The Chipotle Mexican Grill Annual Scholarship will award $2,500 to an emerging culinary professional demonstrating support for sustainable agricultural practices consistent with Chipotle’s philosophy. 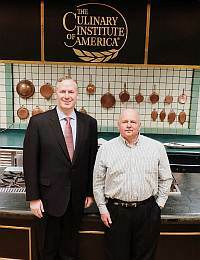 “My time at The Culinary Institute of America provided a great foundation and taught me many lessons that are still valuable today,” Steve explains. “In many ways I was lucky, not everyone has the resources or support they need to help realize their dreams.” In addition to running his growing culinary empire Steve sits on the board of directors of the Land Institute, a non-profit research, education, and policy organization. 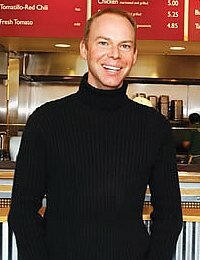 Steve Ells majored in culinary arts at The Culinary Institute of America in Hyde Park, NT. He is the founder and executive chairman of Chipotle Mexican Grill and Pizzeria Locale.